If you are a degree-seeking applicant who has attended another college or university, you are classified as a transfer student. Submit an application for admissions and pay a non-refundable application fee. 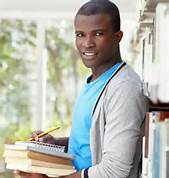 Submit an official copy (sealed and unopened) of your high school transcript or GED scores and transcripts from all previously attended colleges. Transcripts should be mailed directly to the school’s Office of Admissions. Submit proof of citizenship or lawful presence in the US. Complete placement testing (if applicable). This may include COMPASS testing if ACT/SAT scores are not acceptable or you have not earned credit for college-level English and Math courses. The need for placement assessment is largely dependent upon the number of college-level hours you are transferring and a review of your transcript. Some degree programs may require additional official test scores. An initial evaluation of your transcripts will be completed and an acceptance letter will be sent outlining any additional steps or documentation required to complete the application process.